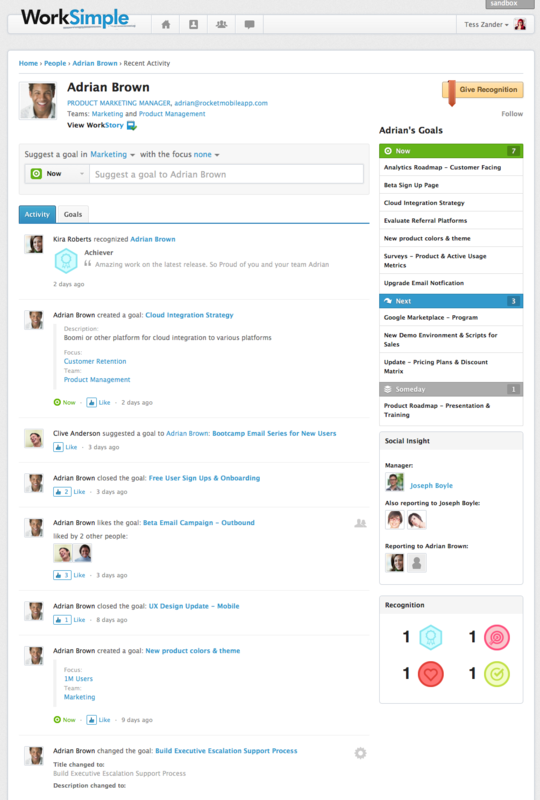 As salesforce.com rolls out product offerings with Rypple that focus on the needs of executive to manage employee performance, WorkSimple’s Social Goals continues to drive the Social Performance industry’s highest adoption rate with an employee-centric, agile approach. Social Performance is not only finding rapid adoption in enterprises large and small—it’s still evolving as Social Performance industry pioneers WorkSimple and Rypple continue to roll out new innovations. Indeed, two companies are leading the Social Performance charge: WorkSimple (http://www.getworksimple.com), and salesforce.com’s Rypple. But WorkSimple takes an employee-centric approach that’s driving the highest adoption levels in the Social Performance industry. Traditional performance management relies heavily on annual performance reviews. But there is now global acceptance that performance reviews—like SuccessFactors and Taleo—do not engage the workforce or improve the bottom line. In fact, many employees resent the annual appraisal. The answer to revolutionizing traditional performance management, however, is not bolting social features on to an application employees don’t consider valuable to their career. The key to social performance systems is, rather, being both valuable to an employee’s career management and simple to use. Performance Management today accomplishes neither goal. Norman says too often enterprise software companies bolt on so many features to a platform—or embed them into an existing platform—that it becomes cumbersome and even confusing for employees. WorkSimple takes the pain out of annual performance reviews. WorkSimple helps HR pave a new road that’s more empowering and more engaging for employees. 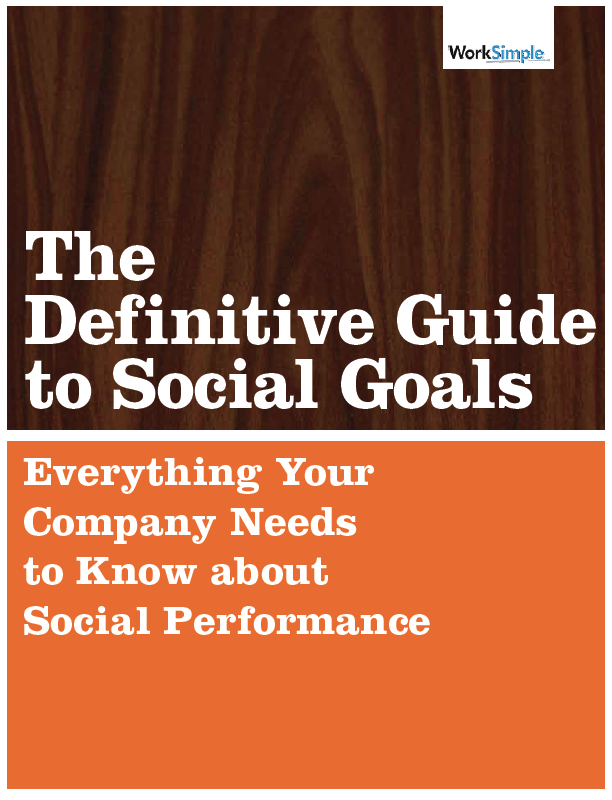 Unlike top-down models, employees drive Social Performance. It’s not just about management, it’s about every helping every employee set goals and track their progress toward accomplished goals—and then get feedback and recognition from coworkers and managers. 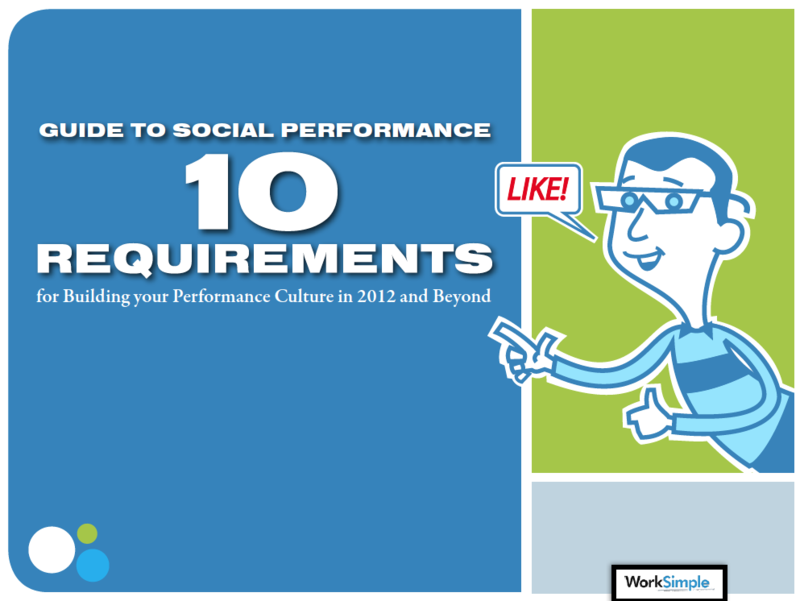 WorkSimple is the Social Performance platform that works the way we do today. Built for individuals, small teams and large global organizations alike, WorkSimple is a better way to share goals, collaborate, get and give feedback, and get endorsed. The Personal Edition is always free and includes Social Goals, Portfolio, Endorsements, Media Sharing, LInkedIn Integration, WorkSimple Group & Business, WorkStory™, Social Goals™, Praise, Get Verified, Feedback, Focus Boards, and Activity Steams. Customers can pay to upgrade for additional functionality including Goal Reviews, Goal Score, and Influence. Get started at http://getworksimple.com.